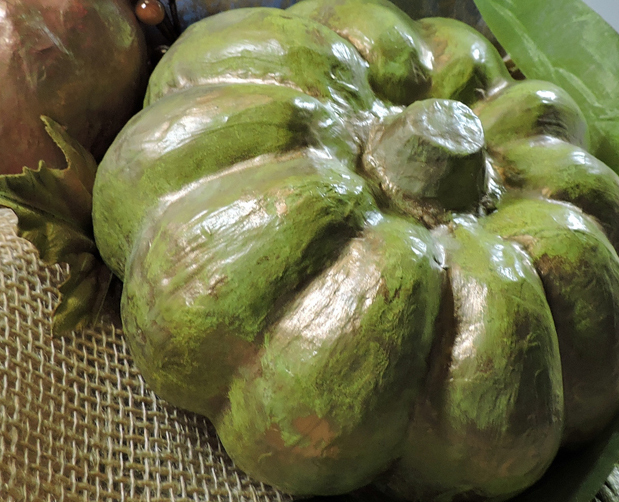 A local craft chain had paper mache pumpkins on sale, and I couldn't resist picking up a few(!) at half price. 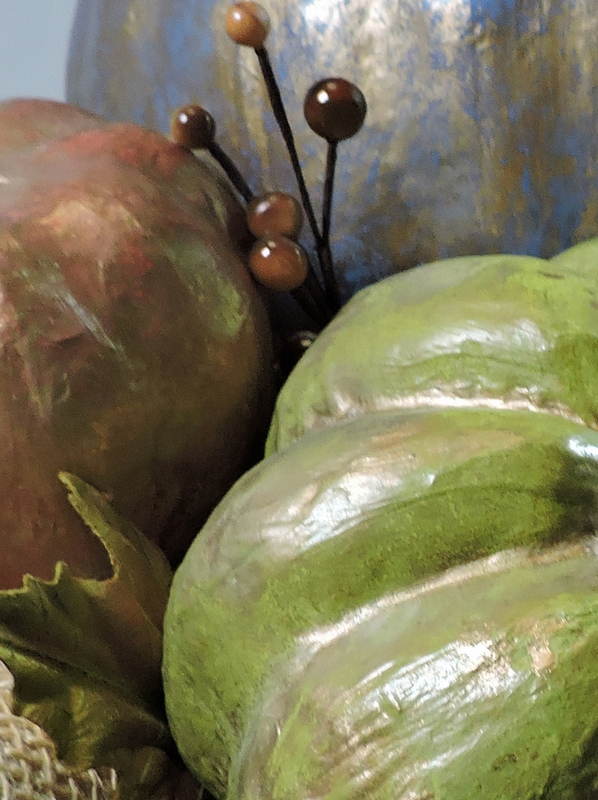 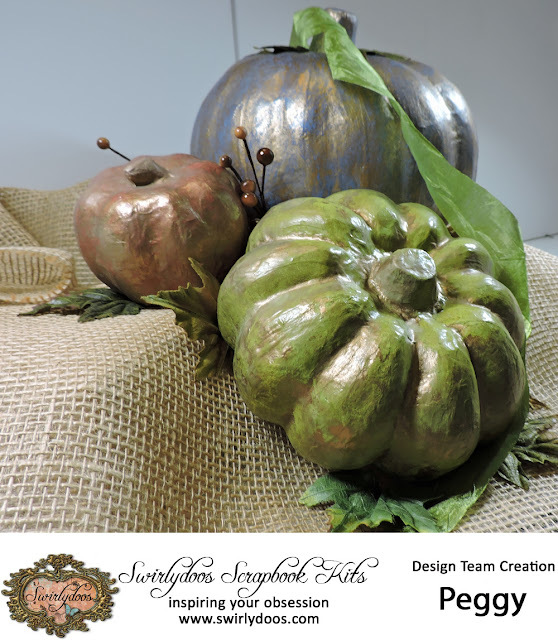 Some gesso, some of the Prima Metallique acrylic paint from the July Embellishment Kit and some of the new Oxide Inks from Ranger (check out the Swirly Mediums Kit for September) and I've come up with a gorgeous bit of home decor for Fall.